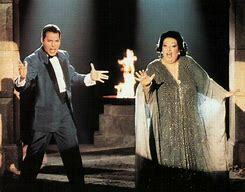 Guest blogger David Loxham pays tribute to Spanish operatic soprano Montserrat Caballe. The 20th century produced a vintage crop of magnificent opera singers. Some of the finest in the history of the performing art. 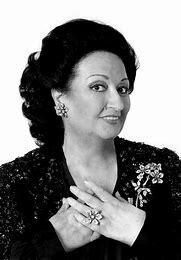 They are a sadly dwindling number and today the magnificent Spanish soprano, Montserrat Caballe has died aged 85. Although a seasoned professional, she become an overnight success in world terms when filling in for Marilyn Horne at short notice and against her better judgement, in New York. The world was soon captivated. This event was on the 20th of April 1965. Horne was world renowned and a huge favourite in her native USA so the pressure was on, but her first aria in Donizetti’s demanding Lucretia Borgia brought the hard to impress New Yorkers to their feet while 5 minutes of loud applause interrupted the action. This was not lost on representatives from the Metropolitan Opera house, one of the worlds great houses and RCA Records lurking backstage, who snapped up the young singer without delay. She succeeded the great Maria Callas in Paris. The women were friends and Callas who could be a stern critic was a huge admirer of Caballe and was not slow in saying so. And this support from Callas seemed to shape Cabelle’s own determination to support and enhance fellow opera performers, and in particular fellow Spanish performers; she was a contemporary of and her career was intrinsically linked with the great tenor Placido Domingo, and she was instrumental in the progress of another fellow countryman, the fine talent of Jose Carreras. 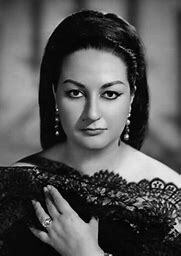 She was certainly part of an amazing golden era of Spanish opera singers. Her talents were not limited by being an opera singer; in fact she had almost certainly one of the widest repertoires in the history of singing across all eras and styles. In 1987 she recorded the song Barcelona with Freddie Mercury, of Queen who claimed Caballe as his favourite singer, which she later performed at the 1992 Barcelona Olympic Games, shortly after Mercury’s death. The worldwide sales this song and the attendant album reached were a starting point for the rise in popularity of Opera in the late 20th century, introducing this fabulous art form to a far larger and more inclusive audience. She and Freddie became firm friends and she was devastated when he died. They had kept in regular contact. Montserrat Caballe was nicknamed La Superba, a sobriquet she thoroughly deserved. Blessed with a famous sense of humour she captivated audiences not with power although she possessed it in her voice, but with beautiful tone and subtle phrasing allied to monumental technique. 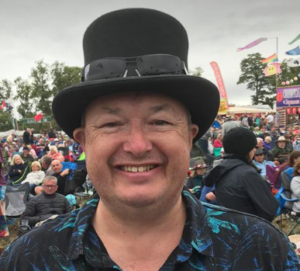 A striking presence, standing just over 5 feet tall and weighing 22 stone, she nevertheless impressed most with her warmth, her obvious enjoyment of her art form and her sheer amazing ability. One of the all time greats who’ll be much missed and lamented. Happily her recorded legacy is an extensive one. R.I.P. Montserrat Caballe.